Applying contemporary styles to traditional glassblowing techniques, artist Josh Ries is teaching students in his class how to add colors to glass and decorative techniques to add interest. Watch this live stream from the class Next Steps: Building On & Refining Your Foundation on January 30. 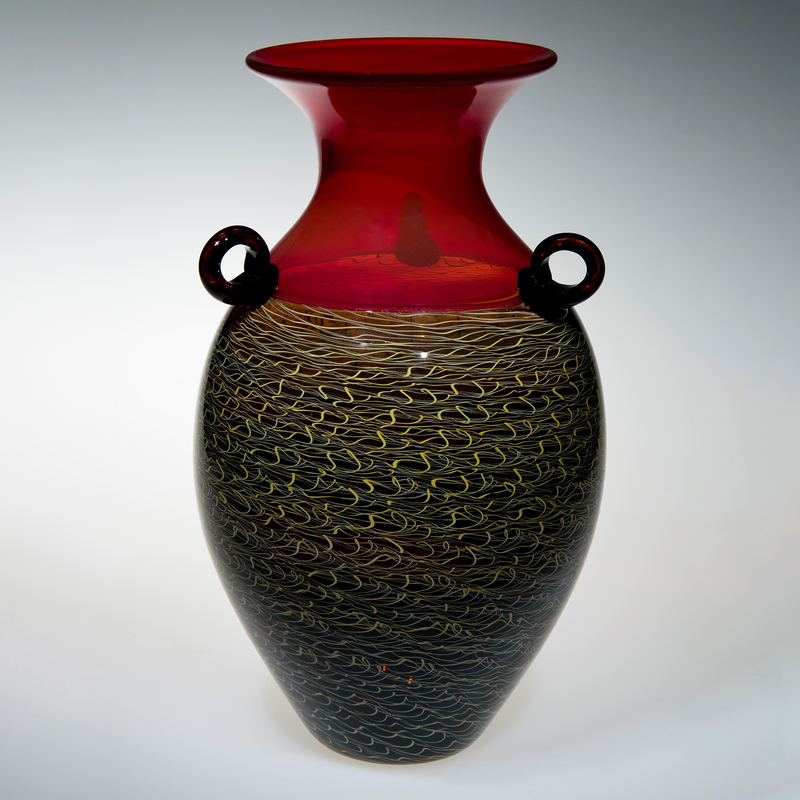 When not teaching at The Studio, Ries can be found teaching at the Art of Fire in Laytonsville, Md., where he creates glass sculptural works. No registration or fee is required to watch this portion of the class. Watch on cmog.org or The Corning Museum of Glass Facebook page when the event is live. Unable to watch the live stream? Each demo will be added to the Museum’s YouTube channel. See the full listing of past live streamed demonstrations, and check back for new videos soon.